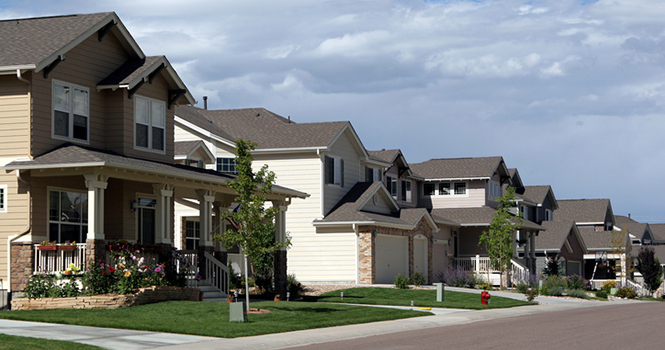 Redfin.com predicts home values & has recently launched a home-price estimation tool. Until this recent launch it was ones responsibility to play the role of a real estate agent and do comparables then Redfin would use that to come up with reasonable home values. Based on its knowledge of the local market coupled with figures they get from various listing companies in the U.S . In the last couple of years, you could only find this service with Zillow’s Zestimates. Zestimates uses the company’s knowledge as well to compute an estimate of almost all houses in the country. For quite some time, Redfin has had Zestimates on its site, but recently it has done away with this feature. Now, Redfin has its version of Zillow's home values called Zestimates. Glenn Kelman explains that the company could not launch this feature earlier. This is because Redfin is a broker and was bound by some rules that could not allow it to have such a service. Redfin gets access to data that comes from multiple listing services (MLS). However, it has to stick to the National Association of Realtor (NAR) rules which govern a majority of the MLS. Some MLS are independent though. One of the rules that hindered Redfin to developing such a tool was that it could not use the data from different MLS. Finally, NAR did away with this rule setting Redfin free to be able to come up with this great tool. This new service is available in 35 metro areas covering around 40 million homes. Both that are for sale or are off-market. This service has been launched recently so it is not in some markets where Redfin has recently started operating. This is due to having very limited data about, or the data has been entered in the system yet. The advances in cloud computing is also a contributing factor. Cloud computing has enabled Redfin to handle this huge amount of data. Itthen uses it in calculations to come up with reasonable estimates of home prices. The tools estimate so far has a median error of 1.96% for homes that are still in the market. The median error for off-market homes is 6.23%. However, this median error changes with the changes in the geographical area. Unfortunately, this automated tool cannot take into account certain features. For example, the style of the home, which may be at that time they are in fashion. Or the design and furnishings of the kitchen as well as all the dynamics of the local market around. However, Redfin has an advantage having access to more information about different homes. Making Redfin's estimates more accurate. It includes features like whether a house has a view or if it is located on a busy street. The company has tuned its algorithms for every market. No amount of cloud computing, however, can exceed the owner’s firsthand knowledge concerning their home and their neighborhood. Redfin, therefore, combines both machine learning and human insight. This tool gives power to the homeowners to determine their home's estimated value. A homeowner of a property in the market or has been recently sold can create an owner estimate. To do this, the homeowner should follow a step-by-step process. In doing so they update the facts concerning the home and provide details on completed renovations. For example, if there are either added bedrooms or any added space. The owner then picks at least five comparable homes from a list of 25 homes that have recently sold. Redfin will use this data to calculate the owner estimate of the home values. Once done, the homeowner can decide whether to keep this information private or to share it with the public. This feature makes this new Redfin tool more user-friendly. It also helps the homeowners to have more say about their home prices than how it used to be before. SSRS did a study independently on this tool and came out with a conclusion. Redfin Estimate is the most accurate online home price estimate tool for on-market homes. This is in comparison to all estimate tools by having the most precise home value estimates.